I started this blog when I was so frustrated and had no place to air out my feelings. Talking to a friend of mine after I shared one of my pieces with him and he told me to publish it in a blog. That my blog will be my own public private place, because despite what I thought, so many people are going through the same things I was. That we are more alike than we are different. And sometimes my openness can clarify out another person's situation. Eventually I started sharing more, and more and became an active blogger. Then I disappeared for a year. In retrospect my absence has taught me so much about myself. I used to crave this freedom of speaking my mind. I hated wallowing in my own feelings and feeling so lost that even when I tried to string along two sentences I couldn't. I had misplaced that part of me who was fearless in her honesty and thoughts. I like to believe that I have changed. One day when I was having a conversation with the committee in my head, I asked myself, what was my passion that could help me find release. Surprisingly, the one thing I missed the most was writing. Sometimes I feel proud when a piece I write gets a lot of reading, sometimes disappointing that no one reads. But no more. I restarted this for me. As an escape. As an exploration. As a hobby that gives my heart joy. If through pieces I write I can make you feel something, a connection, an understanding, an appreciation, I would have been happy. If by reading my frustrations makes you feel less alone in your aloness, I would be honored that my simple words can alleviate the numbness of your situation. 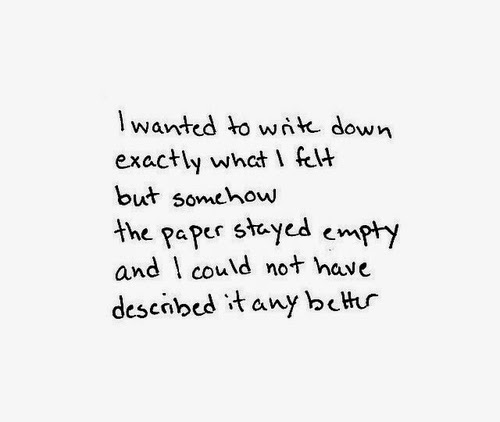 I can isolate myself from my situation through my writing. I write because my sanity demands it. My heart craves it. I write because I must.